Today, Wikileaks began its release of “The Global Intelligence Files,” a trove of 5.5 million emails obtained in December 2011 from global intelligence firm Stratfor. The emails were stolen by Antisec, a sub-set of hacktivist collective Anonymous responsible for hacking servers. The emails reveal a network of corporate “spying” and manipulation, which appear to have benefited Stratfor and its clients. Stratfor’s network was hacked into by Anonymous twice in December 2011, at which time the identities and credit card information of 30,000 subscribers to Stratfor’s services were released to the public. In an announcement, Wikileaks says 5GB of emails, time-stamped between July 2004 and December 2011, will be released to the public over the next week and a half. A collaborative effort between Wikileaks and 25 news organizations, including The Yes Men, Rolling Stone and McClatchy, have reportedly been mining through the emails, looking for relevant or incriminating information. Stratfor is an intelligence firm offering insights into international affairs, with a focus on international policies and politics. 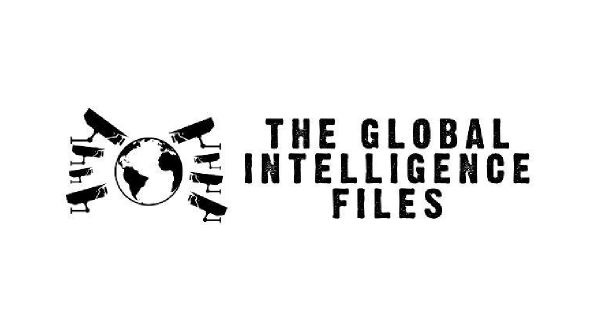 Formally, the firm identifies itself as, “a subscription-based provider of geopolitical analysis.” But after sifting through their clientele and emails, we found that their offerings far exceeded their mere subscription service. The emails released thus-far expose potentially incriminating evidence against Stratfor. While many emails are found to be aggregated information and articles about the latest international political news, the frequent explicit back and forth banter among employees offers an insight into the network and relationships that Stratfor employees have cultivated with prominent businessmen and politicians. An email reveals an alleged insider trading scheme involving Goldman Sachs Managing Director, Shea Morenz and Statfor CEO, George Friedman. Morenz’s $4 million investment backs an investment fund named “StratCap,” which specializes in the trading of currencies and government bonds based on what appears to be insider information acquired from its own ties to U.S. government agencies. Other emails reveal Stratfor’s monitoring of anti-corporate activist group the “Yes Men,” on behalf of Stratfor’s client, Bhopal’s Dow Chemical. In 1984, the Dow Chemical/Union Carbide accident had claimed the lives of thousand s in Bhopal, India — a tragedy the Yes Men have attempted to uncover in greater detail. An insightful excel spreadsheet buried within the emails names Stratfor’s clientele, which includes prominent technology corporations like Dell Computer Corporation, Intel and Amazon.com. To what extent these companies have contracted Stratfor for remains to be seen in further released emails. But what can thus far be discerned is that Dell has had a contract with Stratfor for “Strategic Intelligence & Analysis,” Amazon received an “Update of West Texas threat assessment,” and Intel had signed up for Stratfor’s “Global Vantage” subscription package for three individuals. One thing is certain: Despite Stratfor’s claim in offering insight regardless of its “ideaology, agenda or national bias,” the analysts in fact exhibit predisposed biases. Interestingly enough, outside of the typical discussions regarding political landscapes and clients, an intra-company strife exists within the rankings of Stratfor employees. In one example, Stratfor analyst Marco Pipic denounces Stratfor’s company culture. “There is this FANTASY (note: F A N T A S Y) that STRATFOR is a place where young, brilliant, ambitious people get together, rip each other apart, and then come up with an idea/analysis that is the sum of the parts. In reality, STRATFOR is divided between those who can yell and those who are yelled at,” Pipic writes. Despite what may be revealed in the emails that have yet to be published, Stratfor founder and CEO George Friedman appears to remain optimistic and comfortable in light of the circumstances. “God knows what a hundred employees writing endless emails might say that is embarrassing, stupid or subject to misinterpretation… As they search our emails for signs of a vast conspiracy, they will be disappointed,” Friedman told Reuters in January. In a statement released today, Stratfor describes Wikileaks’ release of the “stolen emails” as “a deplorable, unfortunate — and illegal — breach of privacy.” The company also sheds doubt on the authenticity of some of the emails.